Nostalgic music channel Vintage TV has returned to Freesat after three weeks following protests over its removal. Vintage TV disappeared from the satellite TV service abruptly at the end of June fuelling an angry backlash from viewers on social media, many of whom have avidly watched Vintage TV on Freesat since it first launched back in 2010. Following what Freesat has described as "high demand" for the channel, it was added back to Freesat's Electronic Programme Guide today. Freesat users can see the channel back on its old channel number - 505. Some older Freesat receivers may not automatically add the channel until their routine overnight update. Since the beginning of July, Vintage TV is also available to terrestrial TV viewers on Freeview channel 86. Coverage is limited to around 3/4 of UK households, and it can only be received via DVB-T2 compatible devices (Freeview HD, Freeview Play, YouView [including BT, TalkTalk and Plusnet TV] or EE TV). 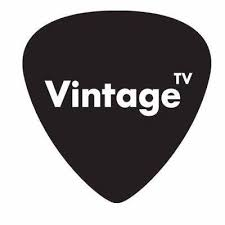 Vintage TV also broadcasts on Sky 369 and Virgin Media 343.